Jane Nelson was baptised at St Mary Gate Independent Chapel, Nottingham, England, on 29 April 1801, daughter of James Nelson and his wife, Anna Maria Dale. Her parents were Dissenters. 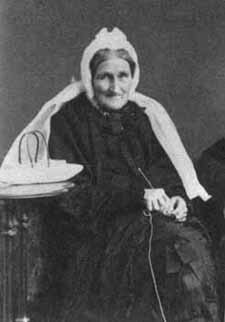 In 1817 Jane was engaged as a pupil teacher by Mary Williams at her school in Southwell, Nottinghamshire. There she met Mary’s son William, an ordained minister, who was preparing for missionary work in New Zealand. Despite Anna Nelson’s initial discouragement Jane and William were married at Sheffield, on 11 July 1825, and on 12 August sailed in the Sir George Osborne. On 25 March 1826 they arrived at Paihia, where William’s brother Henry, and his wife, Marianne, had established a mission station. Jane and Marianne Williams worked as well together as did the two brothers. Both women were often pregnant, Jane having six daughters and three sons by 1846. The families shared meals and the two wives took turns at cooking and teaching. This close family bond was maintained after William and Jane left the Bay of Islands to set up a mission station at Turanga, Poverty Bay, in 1840. Children were frequently exchanged, and the letters between the two women are now one of the main sources of information about the minutiae of daily life at Paihia and Turanga. Jane Williams, especially instructed by the Church Missionary Society in London to remember that ‘no country can be happy or Christian but in proportion as its Females become so’, was to seek every opportunity of influencing Maori women. She taught them to read and write, to sew and cook (in European fashion), and trained them in ‘civilised’ household management. Like her husband she took a special care in visiting the sick. At Paihia girls who had been making ‘satisfactory progress’ were often taken away by their relatives to serve the shipping which frequented the Bay of Islands. There was little danger of this at Turanga, but there was always some doubt as to whether her girls would turn up, because tribal demands took precedence. After leaving Turanga in 1865 for the Bay of Islands, Jane and William settled at Napier in 1867, where she took a lively interest in the Hukarere school for Maori girls, established close to her home by her husband in 1875. After William’s death on 9 February 1878 Jane was one of the last survivors of the missionary band of the 1820s. Reminiscing in 1880 she wrote, ‘we were always contented and happy… never even dreamt of the land being occupied by Europeans. 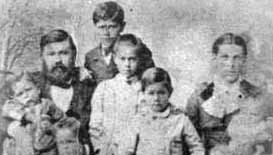 Civilization was good for our children, but sadly marred our work.’ She died at her residence, Hukarere, on 6 October 1896. Her obituary stated: ‘The treasure William Williams brought to these shores was that bright, intelligent, courageous and cheerful soul’.